Have you heard of the art of saving your survival seeds? 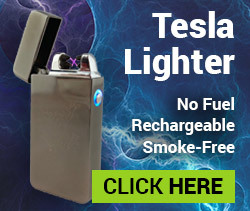 If you haven’t, this is going to blow your mind. By simply purchasing the organic fruits and vegetables you already like to eat, and then saving the seeds that are inside them, you can begin accumulating seeds for your very own survival garden. Think about it this way – since nothing in this life is guaranteed (especially now that the election season is almost over) – if SHTF tomorrow and you have no survival garden, wouldn’t you rather know how to start saving your seeds so you can make up for lost time? Note: You may need to purchase survival seeds if you’re in an emergency in order to start planting everything ASAP. Read these tips to ensure you get the right ones. If you already have a survival garden, these are also great tips for saving money on survival seeds, and for sharing them with friends and family to help them survive longer too. Make sure to allow each of your survival seeds to dry completely before storing; this could take a few days after harvest. Remember, the bigger the seed, the longer it will take to dry. Generally, seeds dry faster and more thoroughly on a piece of paper (think newspaper or printer paper) than they would on napkins/paper towels. Make sure to place your seeds in a warm spot (around 66-70°F) and rotate them to ensure thorough drying. If you place them in direct sunlight outside, it’s important to keep them covered, and to bring them in at night. Although certain seeds naturally last longer than others, there are certain tricks you can do to help increase their lifespan. For instance, you can store your survival seeds in the freezer (once completely dried) in order to keep them fresh for longer. Keeping them in a sealed bag/envelope or an airtight container will also help. 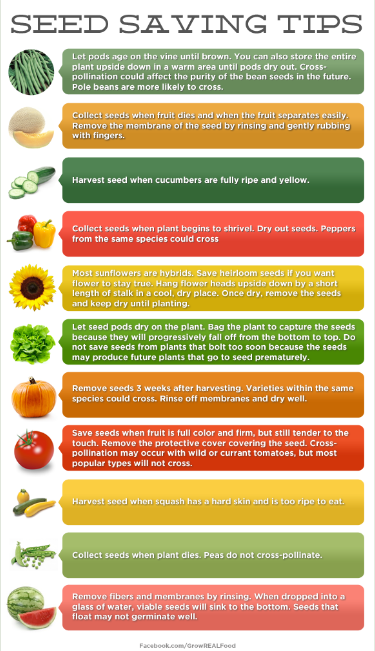 Open-pollinated seeds generally produce plants that are basically identical to their parents; that’s why it’s important to save these seeds, as you tend to know more about what you’re getting into when you plant them. It’s also crucial that, in addition to using open-pollinated seeds, you make sure that your seeds are also non-hybridized and non-GMO. This is because, oftentimes, hybridized seeds and genetically modified seeds will become sterile after the first planting. It is also likely that, if the survival seeds are not sterile, that they will produce plants that are very unlike the previous (deformations, differing sizes, etc), causing them to be disappointing in appearance or even unusable. 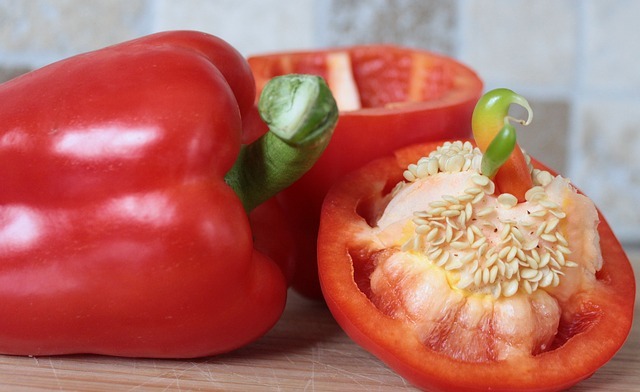 It may be tempting to only save seeds from a few select types of your favorite fruits and vegetables; however, if SHTF, doing so could mean that you not only have a small variety to eat and cook with, but that you also have a much more limited supply of produce to stock up on when you need to. Consider saving a wide variety of fruits, vegetables, and herbs – not only will this produce a fruitful harvest, but it will also allow you to stock up on plenty of produce during the next harvest. Now saving seeds from the produce you already have is a fantastic idea; it saves you money, and if the seeds end up not being reusable you’ve spent virtually no time, energy or additional money in saving them. However, when SHTF (and based on this month’s election results it could happen extremely soon), you won’t have time to slowly stock up on seeds and wait to see if they’re reusable. And you can bet that, at that point, you won’t be able to depend on the grocery store shelves to stock you up, as they’ll likely be clear in a matter of hours. No, when SHTF (and like I said, I see it coming just around the bend), you need to have a large stock of survival seeds that you can depend on to keep you and your family from starvation for years to come. If you’re in the same boat as many Americans are right now and you don’t have either a thriving survival garden or a stock-up of good, dependable survival seeds, you’re in luck. 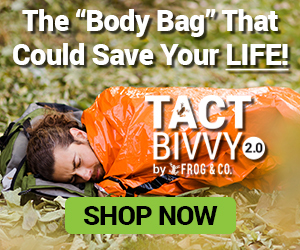 We’ve got an incredible Preparedness Seed Pack in our survival store right now that contains the best survival seeds that you need to keep your family thriving in the upcoming crisis. First off, there’s no need for extra envelopes to store these seeds in; each variety is individually sealed in an air-tight resealable package. So if you don’t want to use your entire supply, simply pour out the survival seeds you need and zip the package tightly. Each seed in our Preparedness Seed Pack is meant to be stored for 4 years, so you have plenty of time to come back and use the remaining seeds later. 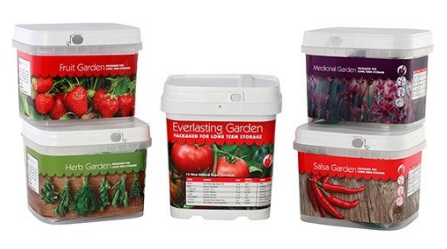 Second, they’re extremely ideal for planting; each of these survival seeds are non-hybrids and GMO-free, ensuring that you’re getting the best growing, healthiest and tastiest fruits and vegetables every year. Plus, with the incredible variety of fruits and vegetables that this Preparedness Seed Pack has to offer, you can count on growing hundreds of thousands of plants down the road! 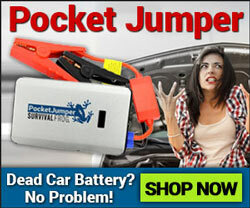 You can bet that’ll equip you and your family for an emergency situation! As you can see, this Preparedness Seed Pack will more than meet your needs when it comes to stocking up for when the SHTF. Plus, each pack contains thousands of seeds, meaning you’ll be able to reap this harvest for years to come. It’s time to take control of your family’s stockpile – as well as their future. Get our Preparedness Seed Pack right now by clicking here or on the image below. This entry was posted in Emergency Preparedness, Homesteading Tips, Natural Remedies, Prepping, Survival Skills, Videos and tagged DIY, DIY Survival, diy survival tools, food, food storage, gardening, plants, prepper hacks, survival, survival food on November 1, 2016 by Survival Frog.